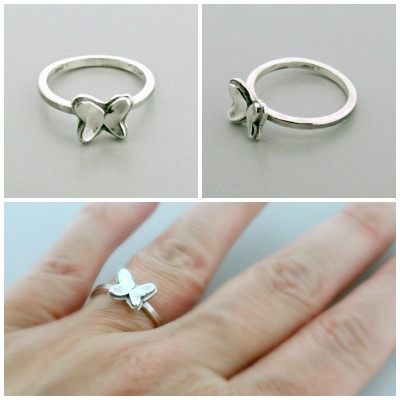 Beautifully handcrafted sterling silver butterfly ring! This particular ring is a thin band, not meant to stack with my Mommy Stacker line. The item pictured is a size 7 for reference.